New Zealand apple suppler, Mr Apple NZ Ltd. is excited about two new varieties that will become available in commercial quantities over the next two seasons. Retail Sales Manager, and China Market Manager, Ben McLeod says the trials and consumer research done into the Posy and Dazzle on both has been extremely positive to date. "Commercial volumes won’t be available until 2020-21," he said. 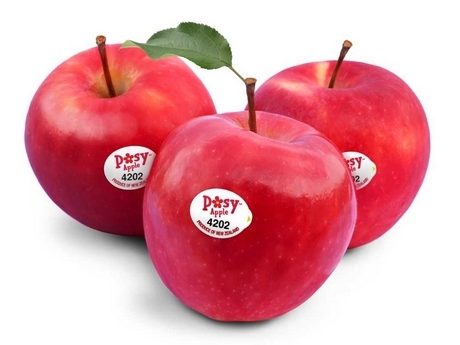 "Posy has all the key attributes that our Chinese consumers are looking for in an apple and so will be targeted towards China/Asia. Dazzle will also appeal to customers in Asia/China but we see with its flavour profile which has been likened to watermelon, that it could also appeal to the more traditional markets of Europe and North America." Overall, New Zealand apple export forecast is expected to up by 6-8 per cent on 2018, with the increase being attributed primarily to newer varieties. 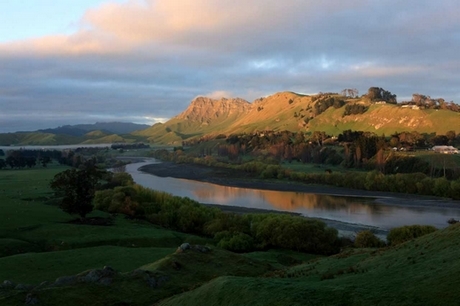 "Growing conditions have been favourable with good warm sunny days and sufficient rain received which has resulted in excellent quality fruit," Mr McLeod said. "At Mr Apple specifically, our volumes are up in line with the industry and with some new varieties on offer, we are looking forward to a good selling season. Mr Apple began exports in Week 8 which was a slightly later start than last year. We kicked off with our key early season varieties - Posy, Early Queen, NZ Beauty, and Royal Gala." 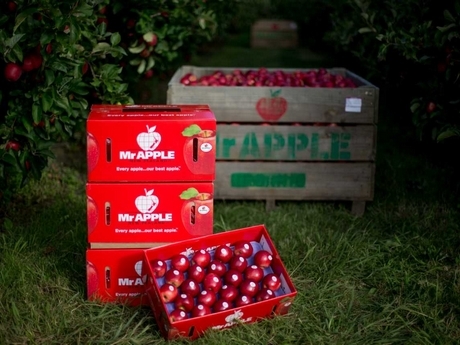 Mr Apple’s main growing region is Hawkes Bay, on the East Coast of New Zealand, which has had good weather over summer and Mr McLeod says fruit colour and flavour are looking 'exceptional' this season. "Growing conditions have been favourable with good warm sunny days and sufficient rain received which has resulted in excellent quality fruit," he said. Mr Apple is well represented globally, selling to over 40 countries. "For the 2019 season, Mr Apple will continue to work closely with strategic partners in the near markets; China, India, Middle East and Asia, promoting the “Mr Apple” brand with a vision of being the consumers no.1 brand of choice for apples," Mr McLeod said. "In terms of new initiatives, as omni-channel grows among retailers globally, we are focused on ensuring we have programs and offers that work both for offline stores and online stores as their needs are different. We are also going to market with some new varieties this season and we are excited about the opportunities they represent." So far, early demand is strong particularly in China, reflective of the seasonal change and move to fresh apples and new production regions. "The global apple industry has had a bit of upheaval this past year so we are looking forward to settling in and getting the season underway," Mr McLeod said. "New Zealand apples are always in demand as a fresh, new season apple and given our location and climatic conditions, New Zealand fruit is well known globally for its taste and flavour. As with most fruits, consumers buy with their eyes, but taste brings them back for more."